Olivia Dunne, a studious minister's daughter who dreams of being an archaeologist, never thought that the drama of World War II would affect her quiet life in Denver. An exhilarating flirtation reshapes her life, though, and she finds herself banished to a rural Colorado outpost, married to a man she hardly knows. Overwhelmed by loneliness, Olivia tentatively tries to establish a new life, finding much-needed friendship and solace in two Japanese American sisters who are living at a nearby internment camp. When Olivia unwittingly becomes an accomplice to a crime and is faced with betrayal, she finally confronts her own desires. 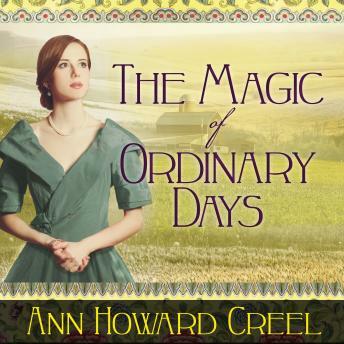 Beautifully written and filled with memorable characters, Ann Howard Creel's novel is a powerful exploration of the nature of trust and love.